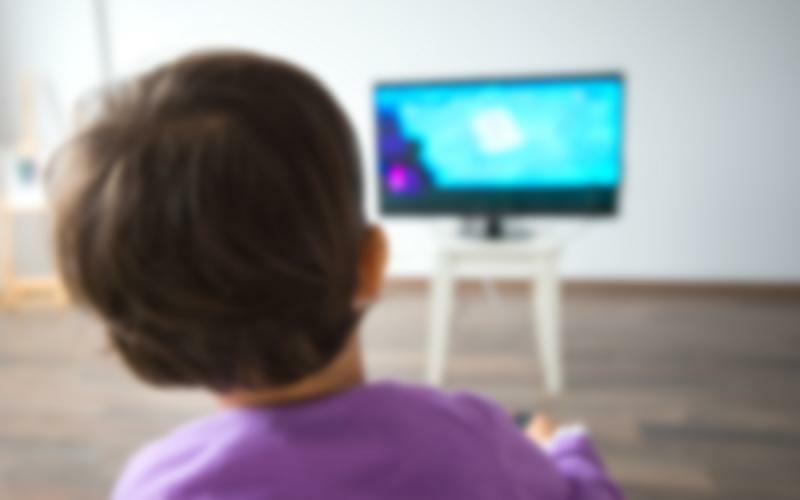 Giving children access to a television in their bedrooms could have a negative effect on their health, according to new research. Recent Australian research has found that sitting down and watching television may increase a child's risk of obesity more than other sedentary behaviors such as playing computer games. Carried out by researchers at the University of South Australia, the new study looked at 234 Australian children aged 10 to 13 years, including 130 who were of a healthy weight and 104 who were classified as obese. The researchers looked at several sedentary behaviors, including watching television, playing video games, using a computer, sitting down to eat, or travelling in a car, and measured how much time children spent sitting for each behavior as well as measuring their total daily energy expenditure, sleep, and physical activity. The findings, published in the journal Obesity Research & Clinical Practice, showed that out of all the sedentary behaviors included in the study, watching TV was the one most strongly associated with obesity in both boys and girls. Moreover, once the researchers had excluded sleep, they found that children the spent more than 50 percent of their day sitting, with television taking up 2.5 to 3 hours each day. "It's no surprise that the more inactive a child is, the greater their risk of being overweight," commented study author Dr. Margarita Tsiros, "But not all sedentary behaviors are created equal when it comes to children's weight. This research suggests that how long children spend sitting may be less important than what they do when they are sitting." The researchers also found that although watching TV was the worst sedentary behavior for both boys and girls, there were some differences between the sexes. "Boys not only watched more TV than girls -- an extra 37 minutes per day -- but also spent significantly more time playing video games," explained Dr. Tsiros. "Video gaming and computer use are popular past times, but our data suggests these activities may be linked with higher body fat in boys." The findings are important as those who are overweight in childhood are also more likely to be overweight as adults, meaning setting healthy habits early on can have a long-lasting impact on health. "Children who are obese have an increased risk of developing serious health disorders, including type 2 diabetes, high blood pressure and cholesterol," Dr Tsiros noted. "They may also experience reduced well-being, social and self-esteem issues, along with pain and difficulties with movement and activity." "By understanding children's sedentary behaviors -- especially those that are placing our kids at risk -- we'll ensure they stay on a better path towards a healthier weight."